"Do I need a church app?" After building more than 1,000 church apps, we’ve heard this question more than once, which makes perfect sense. After building a website, you may feel as if your work is done. Your site is mobile-friendly, so you may not sure if your church would benefit from an app. Does your church need an app? I can’t tell you what your church needs to do. But I can share a few key differences between your church’s website and an app to let you decide. In this post, I’m going to walk you through three reasons why mobile apps are better than mobile websites. Your website is not a mobile app, and your mobile app isn’t a website. I don’t mean to insult your intelligence, but it’s essential to point this out from the get-go. Many church leaders get confused at this point, and I can totally relate. You invested money in building a website that looks good on a computer, tablet, and mobile phone. It’s slick, has a ton of features, and as far as you can tell, people in your church and community use it. Building a website is a good thing, but it’s only one part of a bigger communication puzzle. If your website makes for a good mobile app, then your site doesn’t probably have the content it needs to work well. What is more, if your mobile app is used as your church’s website, then it’s probably not working the way it should. Let me break it down for you like this. This isn’t a perfect comparison but hang tight. Your church’s website is your new front door. According to one unscientific study, as many as 90 percent of your first-time guests will visit your church’s website before they dream about visiting your physical location. While people are on your website, they’re trying to get a feel for who you are and gather basic information. After they spend time on your site, many people will decide whether or not to visit your church based upon their online experience. Your website should lead people to visit your worship service or event. Your site needs to provide information potential visitors are seeking, and it needs to be readily available. Including this information is vital for your church. Not only does it happen to be the most commonly searched for information on a church's website, bu this information is also missing on many church websites. Know what else about your church website? People will view most of the content on your site once. After someone visits your church, knows what time your worship service starts, and they’re comfortable with your childcare, then they won’t consume this content again. Your church website serves an important role, and it’s vital for your church to have one. But your church’s website is limited in its purpose and what it can accomplish. Unlike your church’s website, your church app will be primarily used by your church. There’s a percentage of first-time guests or frequent visitors who’ll use your app. But for the most part, the people who use your app are people committed to your church. Since this is the case, the way you use your app will be different from the way you use your church’s website. Let’s explore these differences next. Your church is pulled in a million directions online. With so many options, your church members are led to several different locations. Basically, they end up getting bounced around online like a ping pong ball. But this isn’t the case with your church app. Instead of leading people to follow you in a million different directions, you can lead them to download your app to connect with you on social media, engage in your church community, and stay up to date. At Tithe.ly, your app can aggregate (combine) all of your social media and other content into one spot automatically. Aggregating your content creates a one-stop shop your app users can visit to engage with the content you want to feature. With your app, your church can download your sermons to listen to offline when they are away from home, which is really hard to do with a website. Your church app users can easily share whatever they’re doing online. Unlike most church websites, an app has built-in features that make shareability super easy. Making content easy to share is one way you can increase engagement everywhere your church has a presence online. 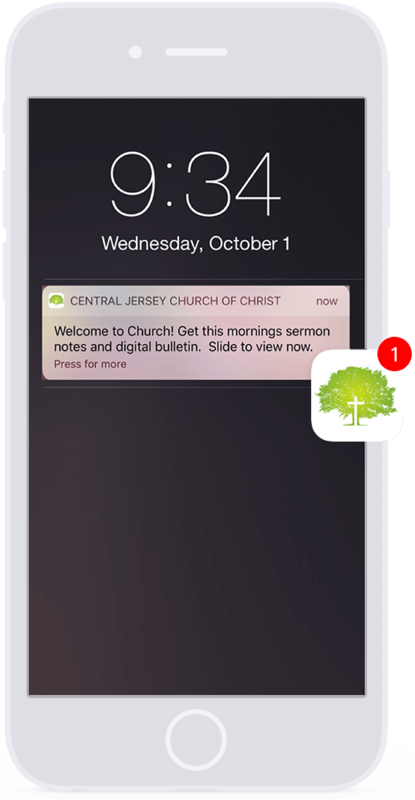 As long as someone has downloaded your church app, you can send them a push notification (short message) to get their attention—even if they don’t have your app opened. The message you send pops-up on their phone’s home screen, and they don’t even have to unlock their phone, answer a call, or check their email inbox. Sending push notifications is a powerful way you can get someone’s attention. An app makes it easier for your church to give. I understand people can access your church’s website with their mobile phone to donate. But this isn’t necessarily the best option. First and foremost, your church app is built to create a great mobile experience. Most church websites are built with a desktop or laptop user in mind. Your site may be mobile-friendly, but there’s a good chance your site wasn’t made to work well on a mobile phone. When someone accesses your website from their smartphone, there’s a good chance it will be difficult for them to donate because the font is hard to read and the button to give is difficult to press. When it comes to your church app, this isn’t the case at all. An app is built with a mobile-user in mind, which leads me to the next point. Mobile giving is easy on a church app. The giving form is easy to access, and with a couple of clicks, your app users are well on their way to donating. What is more, an app gives your church the ability to give anytime, anywhere. And it makes it super easy to set up automated recurring giving. These benefits aren’t theoretical, either. 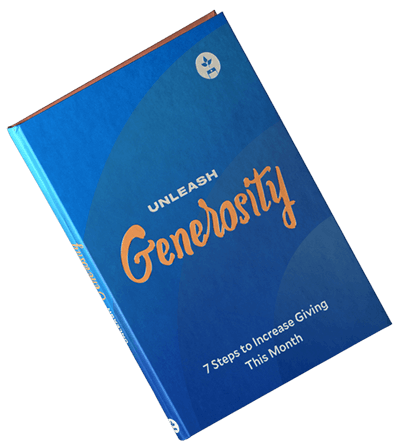 We’ve found that when a church fully supports mobile giving, they’ll see at least a 10 percent increase in giving over six months. Do you want to see an increase in giving? Then provide your church with a mobile app to make it easy. Still not sure if a church app is right for you? Contact a specialist today for a no hassle conversation.